Maybe you don't follow her career, or haven't watched something she starred in, or consider yourself a fan - but you know her by name: Mary Tyler Moore. Everyone knows this actress. She's also involved with JDRF as their international spokesperson, as she's lived with diabetes for years. What I didn't know, however, was that Minneapolis was home base for the television show that bears her name, The Mary Tyler Moore Show. On May 8, 2002, a bronze statue was unveiled to honor this connection. 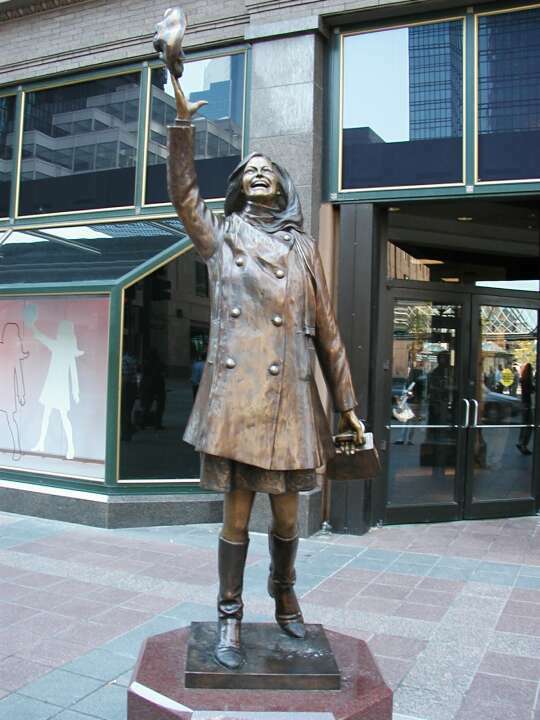 Located in the Nicollet Mall in downtown Minneapolis, the statue depicts the iconic hat toss she'd perform in the show's opening sequence. Mary Tyler Moore was diagnosed with Type 1 Diabetes when she was 33 years old. On January 25, 2017, the iconic star passed away at age 80.